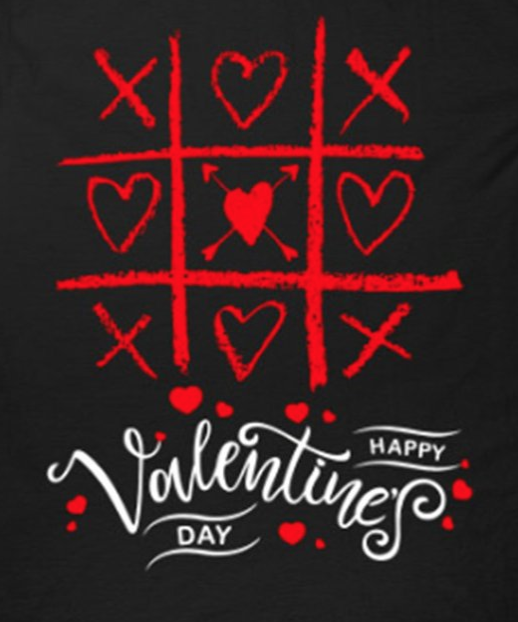 We like to think that people who mark Valentine’s Day on their calendar fall into one of two camps. Either they love the holiday, or they loathe it. There really doesn’t seem much middle-ground between the two. 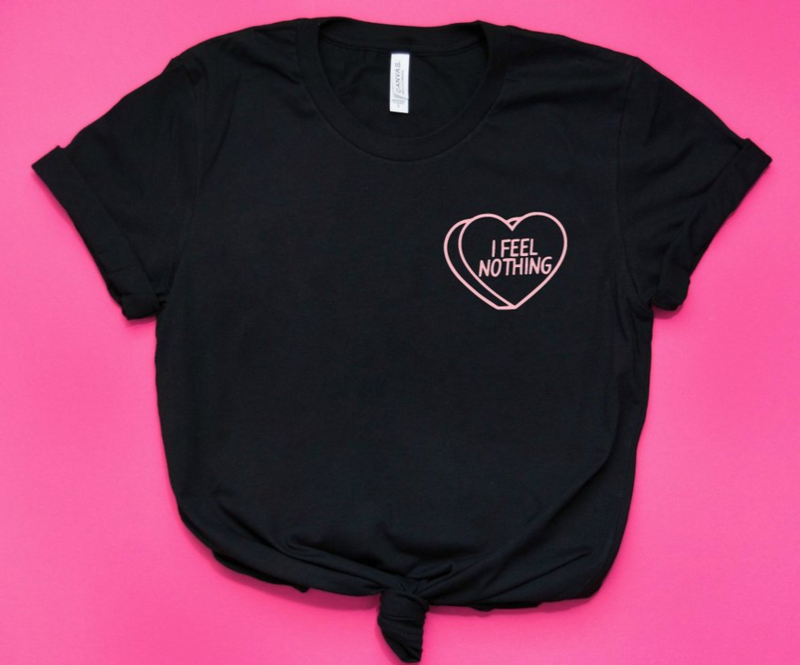 But hey, that’s fine – for this year’s list of Valentine’s Day T-Shirts, we’ve found clothes for people on both sides of the fence. We’ve even included a few designs for people whose opinion on the day is strictly indifferent. As always, we encourage you to have a read-through and see if any designs pique your interest (or spark your curiosity). Afterward, why not head over to our design studio and see what you can put together yourself? 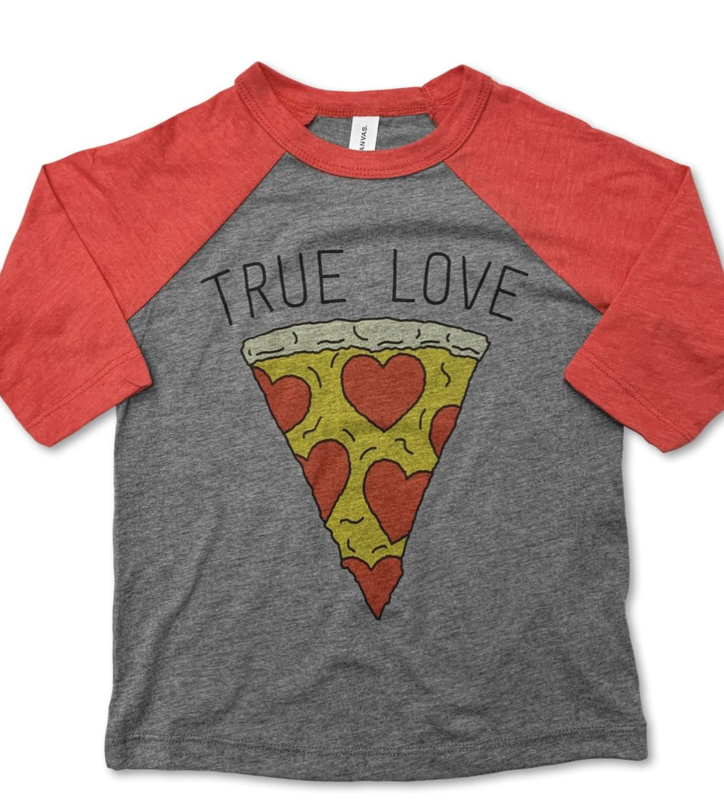 Because even the most dramatic, beautiful, and touching romance has nothing on the pure joy a child experiences upon eating their first slice of pizza. Don’t try to deny it, you know it’s true. Hey, who needs to go to all the trouble of driving to the theater and finding a restaurant for dinner and a movie? These days, you can just chill on the couch and order in. You’ve gotta admit, the logic here checks out. 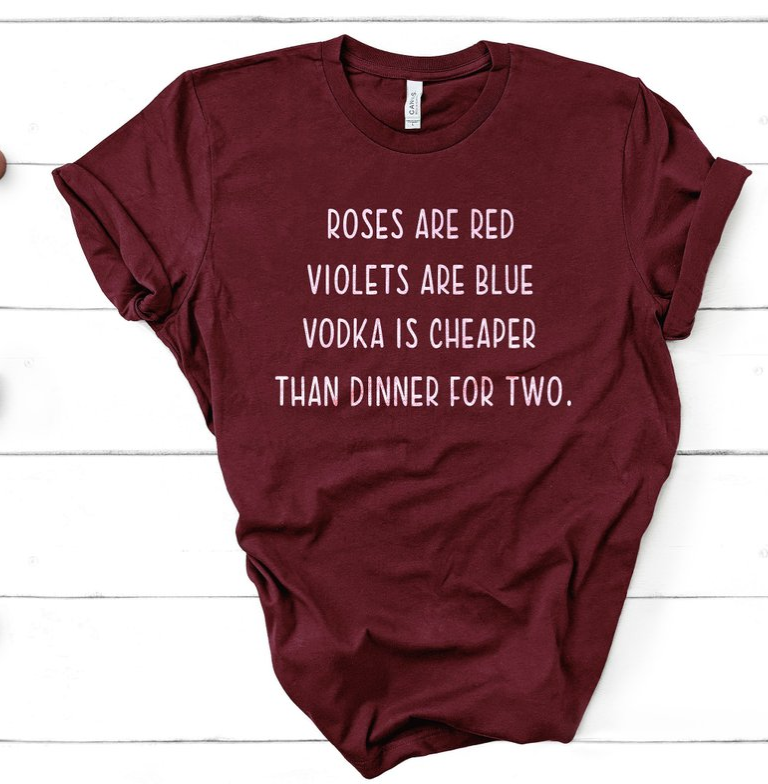 Plus, as the old poem goes, it is cheaper than a dinner for two! We’re…pretty sure that’s how it goes, at least. Speaking of that poem, here’s another take on it. 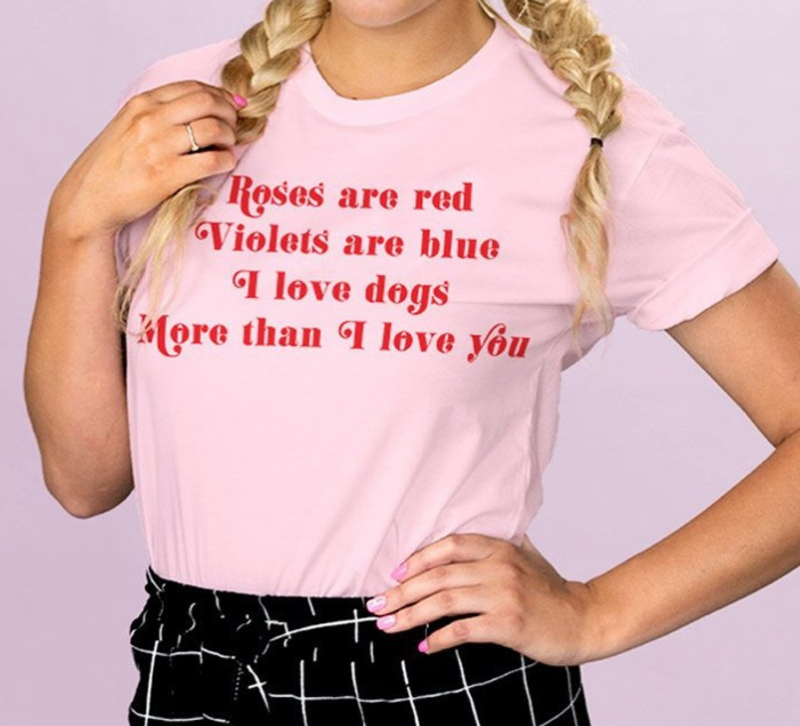 We’ve gotta admit, the shirt raises a good point – generally speaking, dogs are 100% better than people. 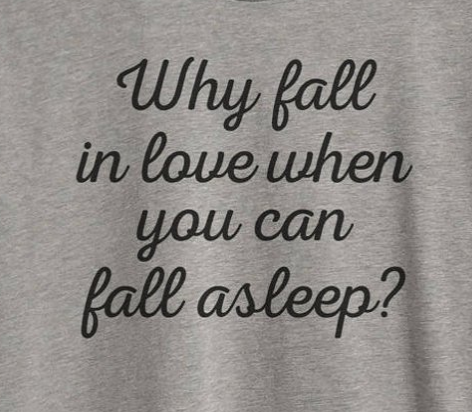 Because nothing says ‘true love’ like uncontrollable jealousy, right? In a perfect world, you could do both. We don’t really live in a perfect world, though. Gotta choose one or the other, and personally, we’re gonna go with some much-needed shuteye. 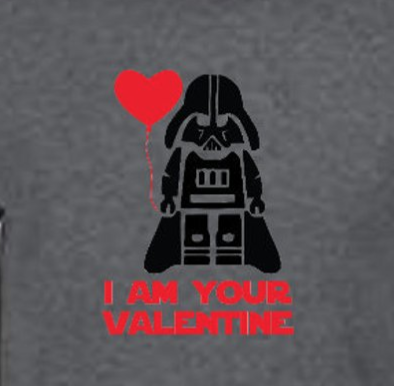 If you’re feeling especially dark this Valentine’s Day, this shirt’s got your name on it. Just repeat the mantra above until it’s true, and you’ll make it through another hallmark holiday unscathed. Weren’t we just talking about this poem? 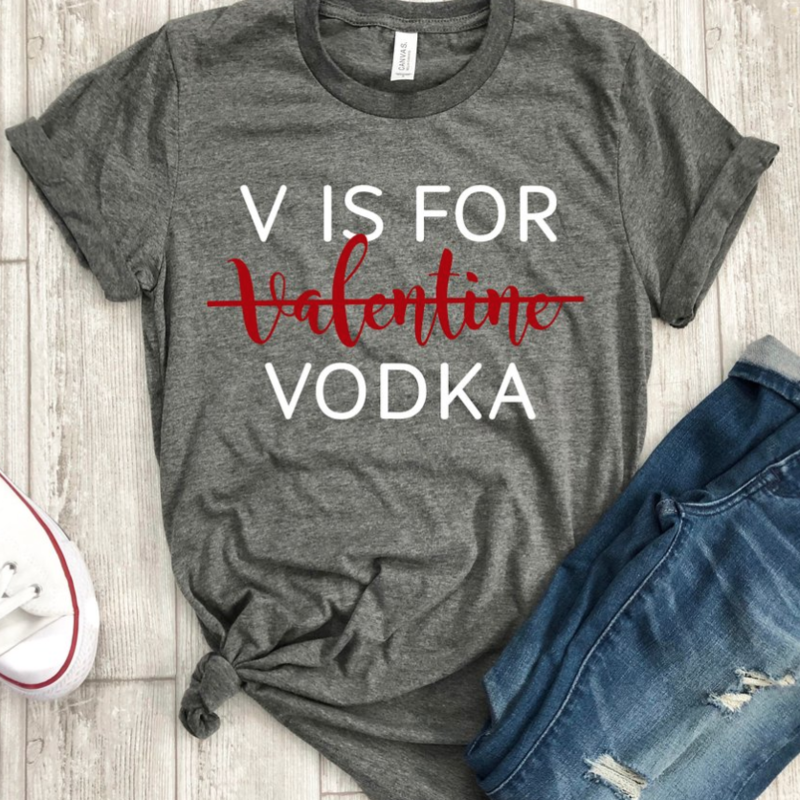 Of course, you can’t be surprised it’d show up this often – we’re willing to bet there’s a lot of drinking going on during Valentine’s Day. We’re not really sure if this is a reference to the song by Ariana Grande, but if it is, we approve. It’s better to be alone on Valentine’s Day than to be with someone who’s not right for you. 10. 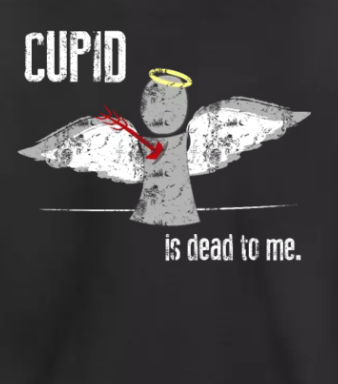 What Did Cupid Ever Do For You Lately, Anyway? You’d think he’d learn to aim those arrows better. And at least point his bow in your direction sometime. Guess not. Hey, inflation is a thing. As are student loans. Gotta get with the times, folks. 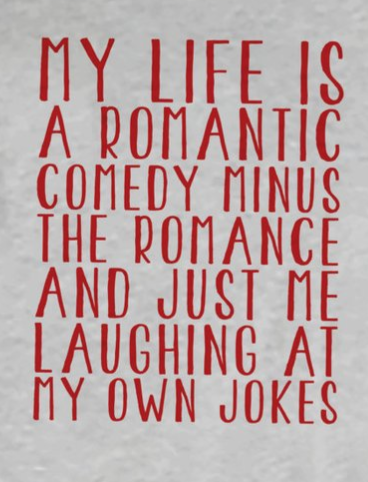 …especially around Valentine’s Day. You can’t deny it’s the kind of holiday that gets everyone thinking about their (lack of a) significant other, after all. Alright, let’s take a break from the sarcasm and bitterness for something sweet. Maybe a little too sweet. And definitely corny. 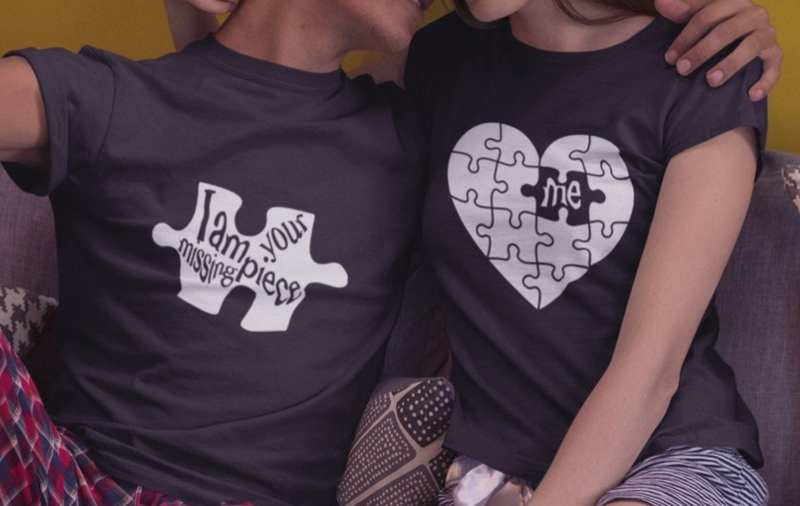 Hey, it’s a good shirt to get if you as a couple have figured this out. 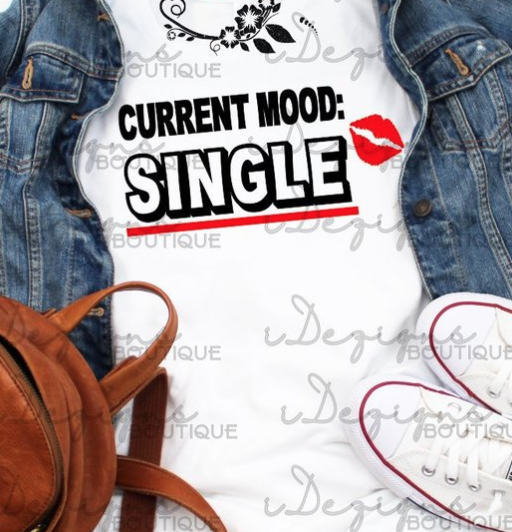 Of course, if you’re single, you could just get the one on the left. 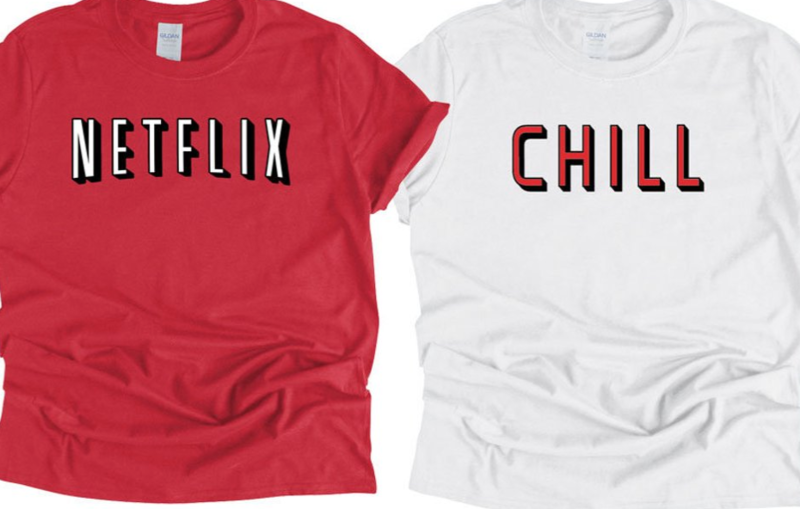 And maybe save the one on the right for your significant other. …If you ever find them. 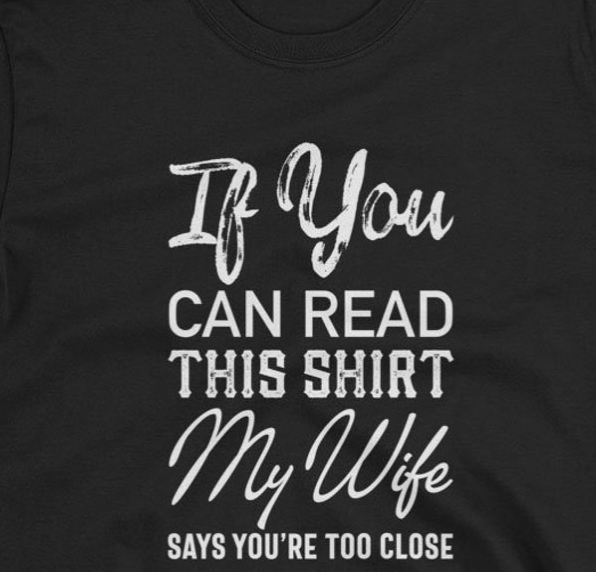 We’re a little upset at how much we relate to the message of this shirt. Is that a problem? 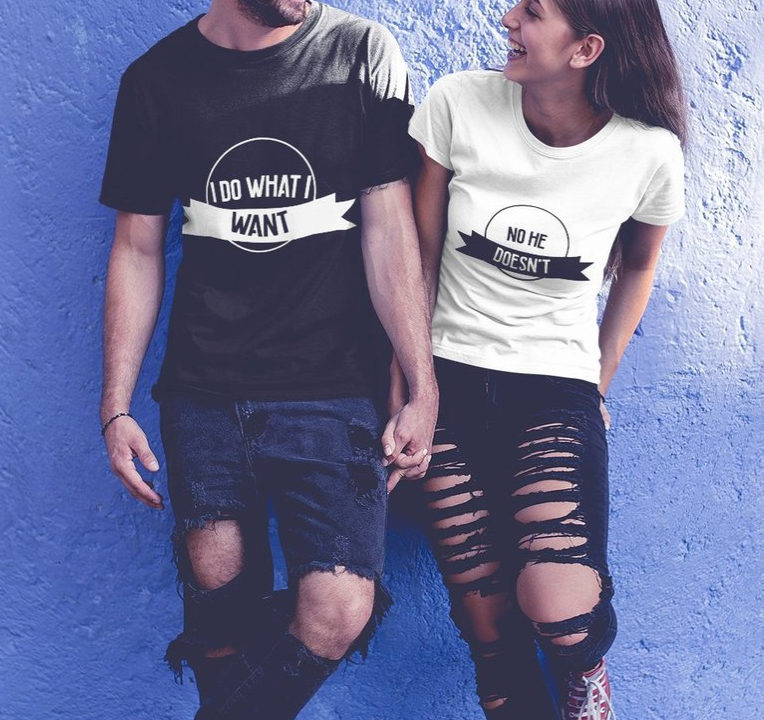 Maybe, maybe not – who’s to say? Hey, say what you will about Ned, he knew how to woo the ladies. That stoic, honorable act works wonders. And everyone loses their head from time to time, right? 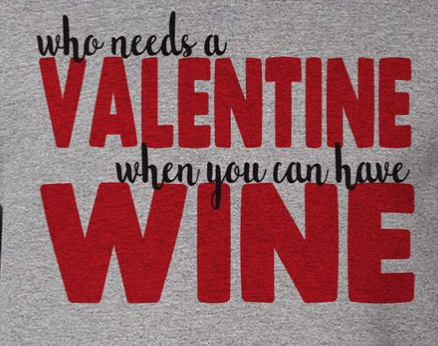 This Valentine’s Day, you’ve three choices if you’re single. Vodka, wine, or confronting your own loneliness head-on and inevitably spiraling into crippling depression. …What? Just handle the holiday like an adult and ignore it? Nah, we’re gonna go with being overly dramatic. Really, how would you feel if a psychotic manchild with magical space powers and a laser sword professed his undying devotion to you through property damage? That’s what we thought. 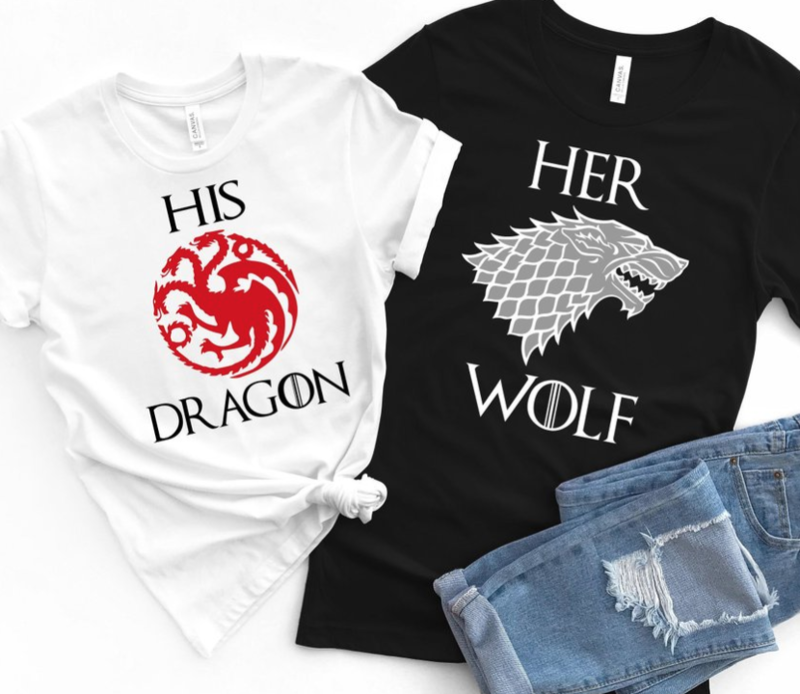 We can’t believe we’re saying this, but…we ship it. Those two would make a cute couple. And we’re sure C3PO would get over it eventually. Surprisingly, this one’s not a reference to the song. 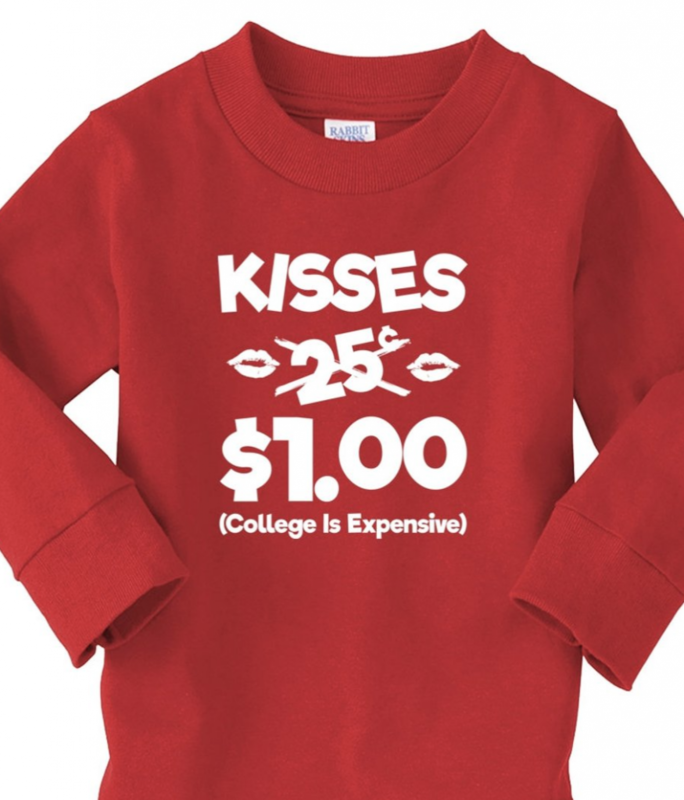 Just a cute little design we thought would be a good choice for rounding out the list. 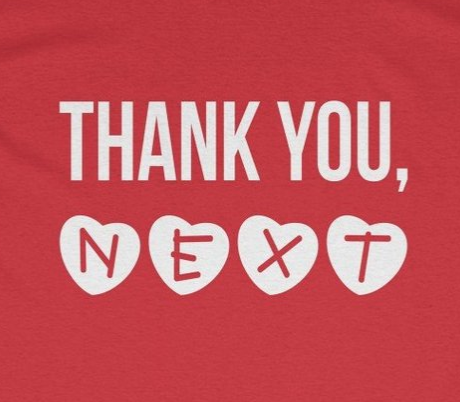 Though we suppose it’s not really X’s and O’s at this point – hearts and crosses, maybe? Well, there you have it. 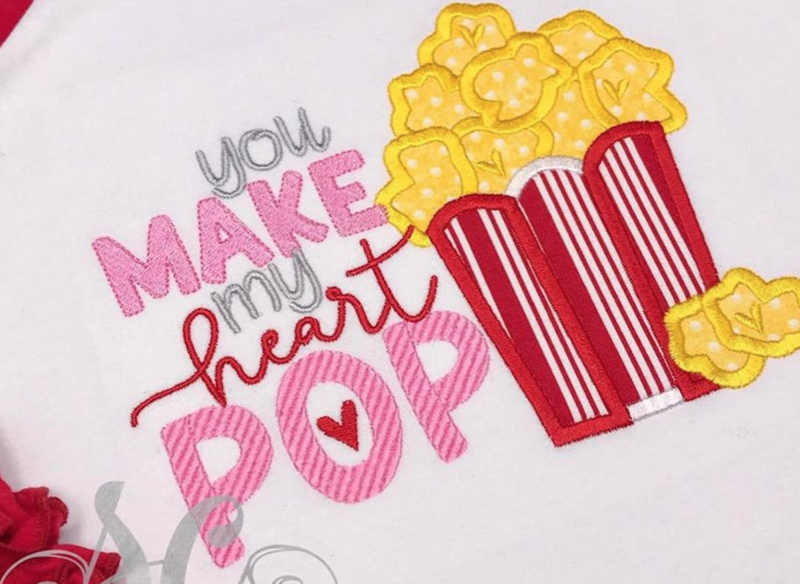 Some of the best, cutest, and funniest Valentine’s Day shirts we’ve found this year. We hope you found at least one that caught your eye – and even if you didn’t, we hope you found one that inspired you to create something of your own. As for the holiday itself? Just let the people you care about in life know that they’re appreciated. Whether you’re single or attached, spend the day with someone you love, even if only platonically. 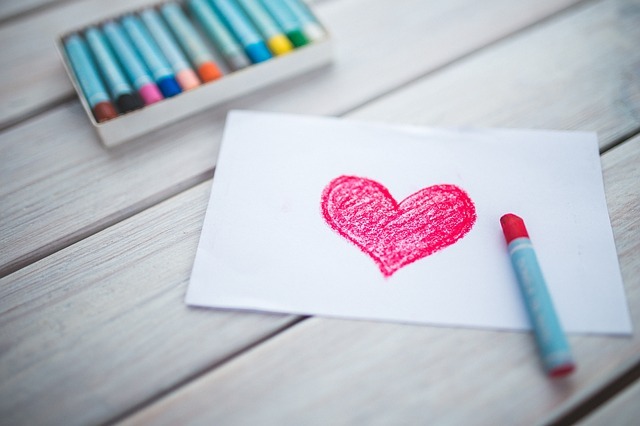 It doesn’t need to be all cards, romance, and expensive dinners – even a tiny gesture can make a world of difference.